Price per unit. Sold in Pairs only. 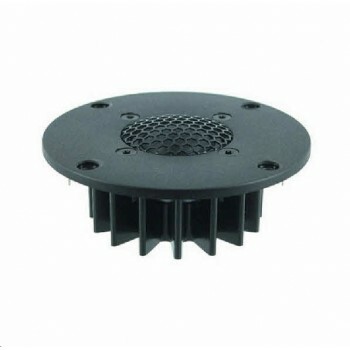 SEAS H1451-16 T27TDNC/GW is a High Definition precoated fabric dome tweeter. 27TDFNC/GW H1462 w/out Ferrofluid. SEAS Back catalogue unit. Outstanding response extension, with a wide, soft polymer surround and a powerful neodymium magnet system with a rear chamber. A Sonotex precoated fabric diaphragm with high consistency and excellent stability against variations in air humidity. The diaphragm is protected by a highly perforated hexagrid. A Sonomax surround is used for low resonance and excellent mechanical linearity. Ferrofluid-free. Please note the downloadable datasheet is for the 27FDNFC/GW H1462 version with ferrofluid. The datasheets for this model (without ferrofluid) are identical.